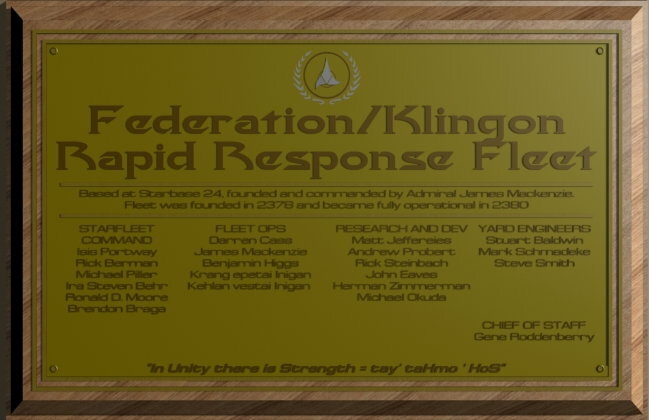 The Federation/Klingon Rapid Response Fleet was founded by Admiral James Mackenzie and Krang Epetai Inigan with the cooperation and support of Fleet Admiral Isis Portway, Chancellor Martok and the president of the United Federation of Planets. 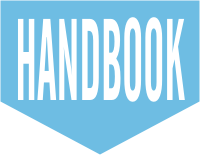 The mission of the fleet is to be the first on the scene of any threat to the Federation, its allies or its citizens, to assess the threat and to respond appropriately. The Fleet had its beginnings in the later half of the Dominion War when James Mackenzie, then a captain, in command of the USS Endeavour teamed up with a Klingon ship, the IKS Hegh'Ta under the command of Krang epetai Inigan. Inevitably, due to crew losses, there was a mixing of crew across the two ships and many of the policies, which have made the RRF unique, were formulated during this difficult time. After some initial misunderstandings, the Federation and Klingon officers worked together so well that both governments decided that the experiment should continue. For the next three years, the USS Endeavour flew with the Tenth Fleet of the Klingon Defence Force. Then, in 2378 Captain Mackenzie was promoted to the Admiralty and the Rapid Response Fleet came into existence, with just four ships, the USS Endeavour and the USS Prometheus representing Starfleet and the IKC Hegh’Ta and the IKS Ch’Tang for the Klingon Empire. The experiment proved successful and two years later, in 2380, four more ships joined the RRF. 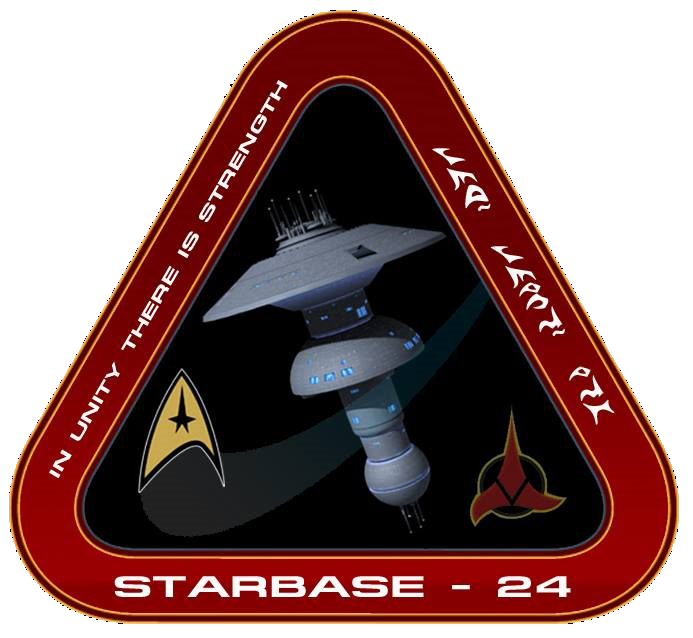 As the fleet expanded and its duties grew, a need was identified for better medical facilities in the field and in 2381 the medical ship USS Nightingale was assigned to Starbase 24. The fleet continued to expand and currently consists of ten ships. All the ships participating in the RRF were chosen carefully for their speed and manoeuvrability as well as their fire power, evacuation capability and the abilities of their captains and crew.